Mandy came to me with a logo and a color concept she was loving. 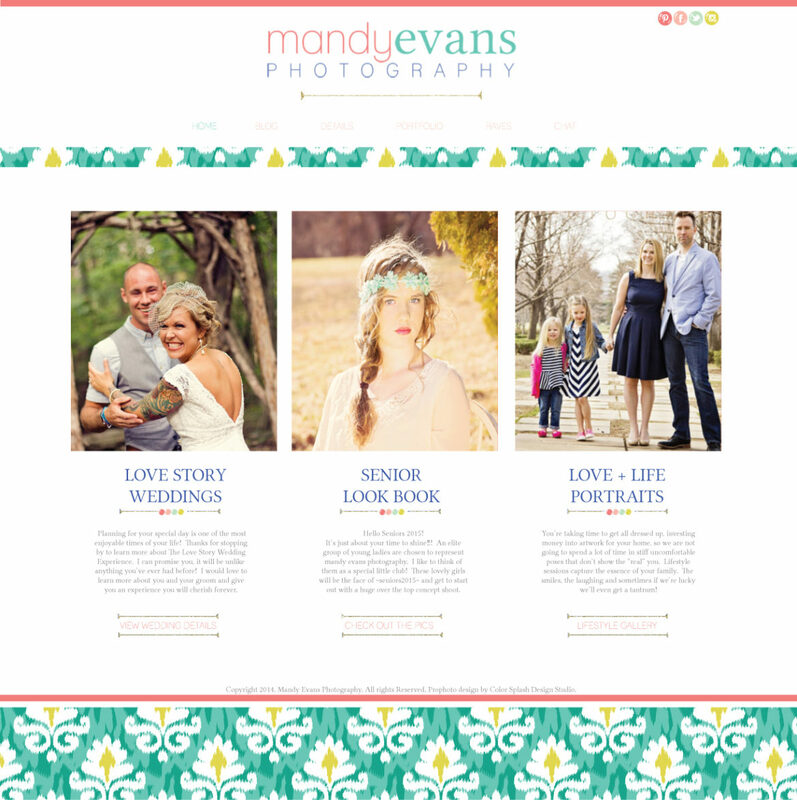 She really wanted some print and texture in her website, but yet a classic and clean look. Her site was built using prophoto for wordpress.